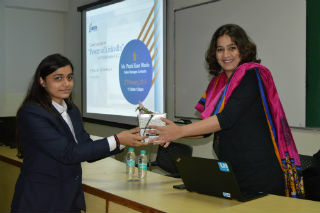 JIMS, Rohini organised a session on 2nd February, 2019 for PGDM (2018-20) batch students on how to explore the unexplored avenues of LinkedIn platform. The speaker for the session was Ms. Preeti Kaur Bhatia, Sales Manager, LinkedIn, who is also the alumni of the JIMS PGDM Batch (2008-10). 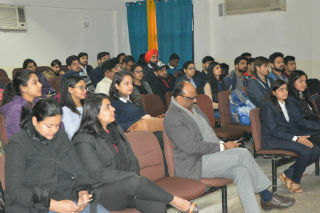 Ms. Preeti Kaur Bhatia gave valuable suggestions to the students on how to elevate their profiles on the professional social media platform to attract recruiters and improve their chances of getting noticed. Students were highly enthusiastic throughout the session as she explained everything with the help of sample profile of volunteer students from the audience. All the students went back with an intent to use the suggestions of the speaker to the fullest and bank upon every opportunity that comes forth on the LinkedIn platform.